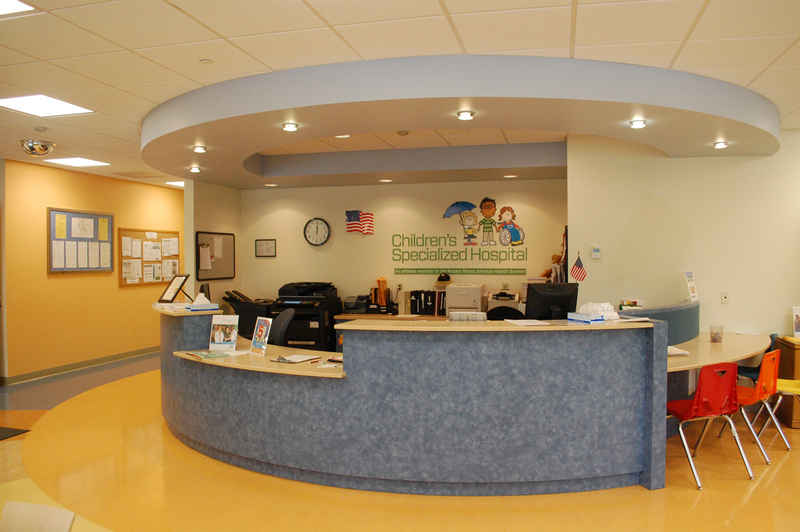 Children’s Specialized Hospital utilized the services of the firm for the fit-out of multiple facility locations across the entire state of New Jersey. Typical fit-outs ranged from 2,000 – 3000 s.f. of raw space, providing for exam rooms, large physical therapy areas, offices, reception and waiting areas, and support spaces. 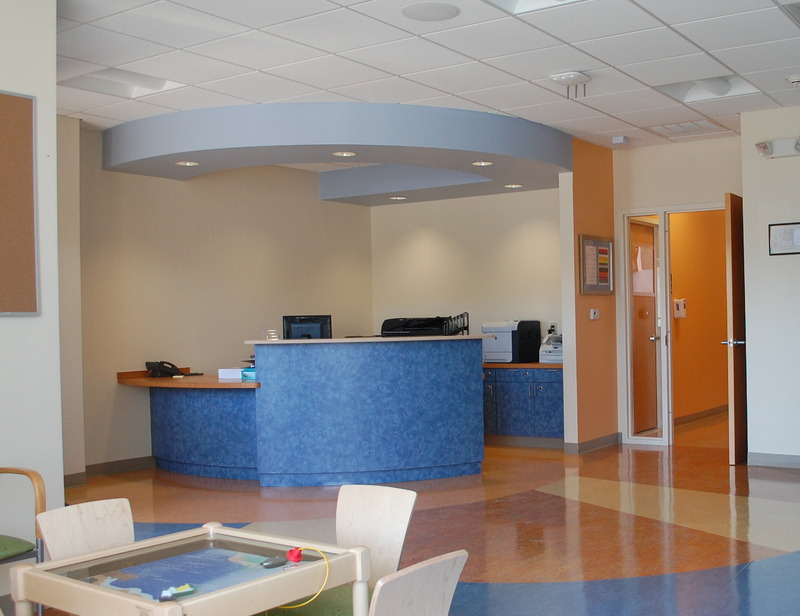 Upbeat shapes and colors are a carefully considered part of the interior of each facility. This serves to break down what could have been an institutional environment and instead convey a more supportive message to its most important end-users.